Happy Sunday lovelies! This past week’s heat wave took quite the toll, and for beautynistas it was our hair and makeup that that paid the price. 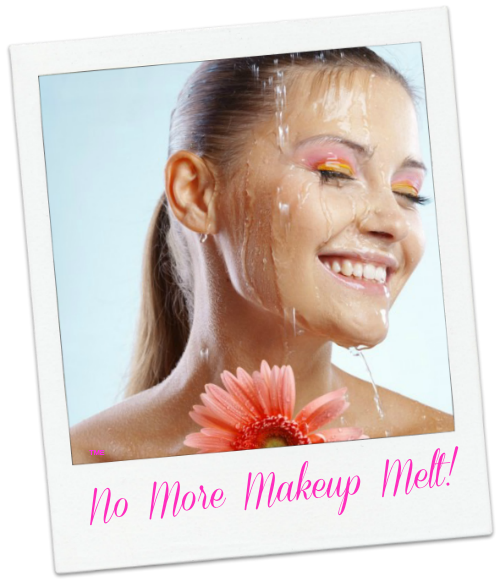 While we can’t always look picture perfect, there are products that can keep us from looking like melted wax figures. In conjunction with looking good as we go about our daily business, we want to look good while we lounge too. And with the upcoming week’s forecast bringing more anti-beautynista weather, it’s time to break out the waterproof and water-resistant makeup cache. The Makeup Examiner has a super sensitivity to waterproof eye products, so when she finds ones that work, she has to share the information. Personally, forgoing a “full-face” is a good option during the dog days of summer. Not every beautynista would agree, so of course finding a great waterproof mascara lead The Makeup Examiner to investigate other waterproof makeup products, and these are her top picks. Skin Care: You need to protect your skin 365 days of the year. With that said, we can all acknowledge that keeping our skin protected with sunscreen can be a futile effort when we’re out and about in the summertime. The Makeup Examiner found the perfect water-resistant sunscreen. Vichy Capital Soleil SPF 50 Lightweight Foaming Lotion ($28.50) is a lightweight mousse-like foam that is easy to apply and water-resistant for up to 80 minutes. Capital Soleil contains white grape polyphenols and vitamin E for antioxidant protection and is great for sensitive skin. Face: Honestly, if you have to be out and about in the hot weather and you know that your makeup is going to sweat off, skip the foundation. Opt for a BB Cream like Revlon Photo Ready BB Cream Skin Perfector with SPF 30 ($10). You’ll get light coverage and more SPF protection. To get a more polished face, add a touch of BECCA Cosmetics Beach Tint ($25) to achieve a sun-kissed glow that is water-resistant. Beach Tint has become a staple for The Makeup Examiner because it truly gives the perfect touch of color and plays double-duty as a lip stain! Eye Makeup: Recognizing that many women wouldn’t leave the house without mascara, The Makeup Examiner is sharing two of her fave waterproof eye makeup products. Having a serious dislike of waterproof mascara, due to the fact that it’s difficult to remove and the loss of eyelashes that occur while attempting to remove the cement like product, TME was beyond ecstatic to find a product that works with regular mascara. Anastasia Lash Genius Waterproof Topcoat ($21) is a clear topcoat gel that instantly waterproofs any mascara. It’s paraben free, doesn’t clump, and is easily removed. And if you’re a falsies wearer, Lash Genius gives the most amazing finish after applying those false eyelashes. For many, mascara just isn’t enough no matter the weather. If you absolute cannot forgo eyeliner, Skinn Luxe Waterproof Eyeliner ($9.50) is amazing. Luxe Waterproof Eyeliner contains shea butter, which makes it moisturizing all while delivering a smooth and non-smudging liner. Complete Lockdown: Want to know how actresses and models keep makeup melt at bay under 90-degree stage lighting? They use setting spray. Skindinavia Makeup Finishing Spray ($29) sets your makeup and keeps it in place for up to 16 hours. Skindinavia has formulas for various skin types, including oily skin and now through July 23, Skindinavia is offering free shipping and a free travel-sized setting spray on all US orders.